Many aspects of population mobility within and between the countries of Asia have been discussed widely in the literature. However, the emphasis has been on mobility of the young working-age population (especially rural–urban mobility and international labour migration). Mobility of those past retirement age (say, 65+) has been little addressed. 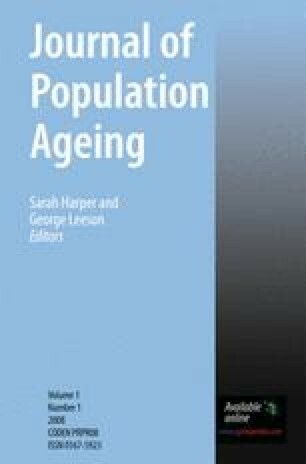 This paper will focus on a particularly neglected aspect of mobility related to the elderly: international mobility both of the elderly and of potential caregivers for the elderly. It develops a conceptual framework for analysing and forecasting international retirement migration in East and Southeast Asia, where this phenomenon is still in its infancy. It relates this to the potential for international movement of care workers. Basic to both kinds of mobility is the enormous differences in income and in cost of living between Asian countries. Social Insurance Agency (2006). National pension. (http://www.sia.go.jp/e/np.html) and Employees’ pension insurance (http://www.sia.go.jp/e/epi.html).